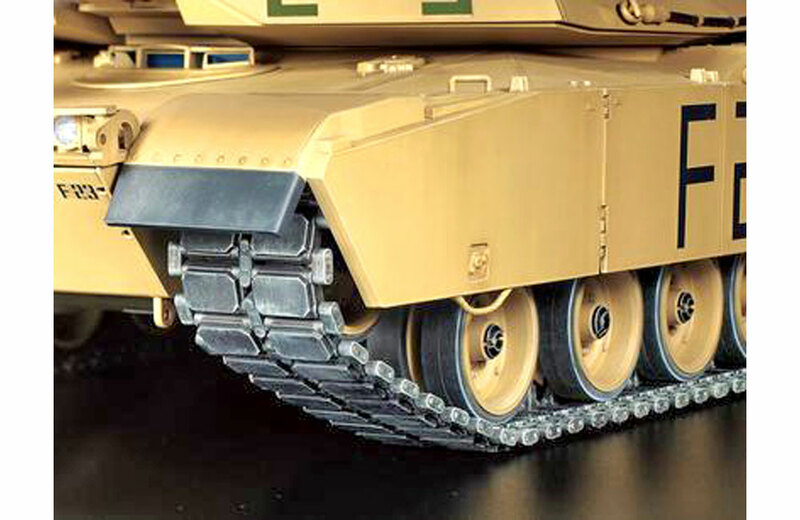 All Products > "56041 Tamiya R/C M1A2 Abrams w/Option Kit"
The M1 Abrams was formally adopted in 1980, and features highly recognizable flat surfaces and angular form, plus a powerful gas turbine engine. 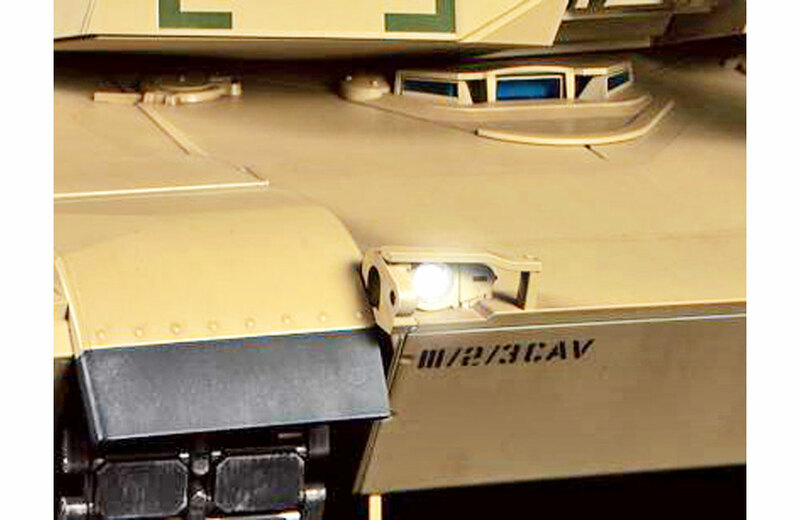 It was designed upgrade friendly, and various modifications throughout its service life have seen it remain at the cutting edge of military technology into the present day. 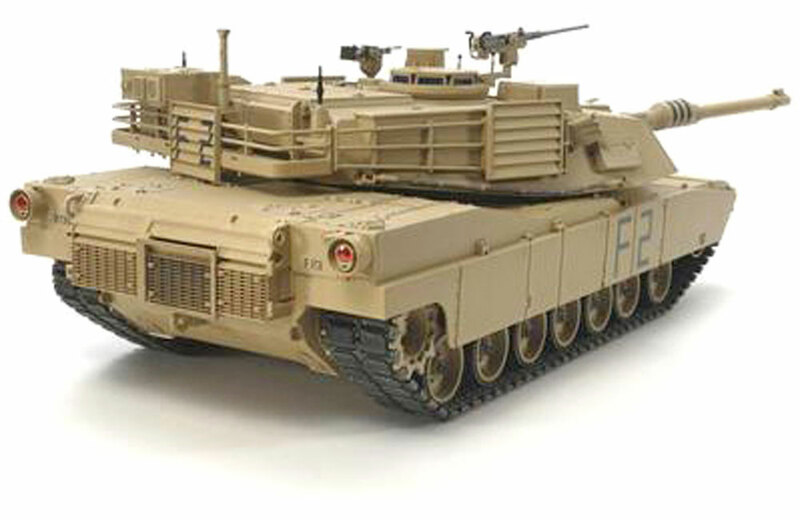 One upgraded variant was the M1A1HA, which sported an L/44 120mm smoothbore gun and depleted uranium armor on the turret and hull; the M1A2 evolved this design further with technological enhancements such as the CITV thermal imaging sight, a Position/Navigation System and integrated sights for the commander and the driver. 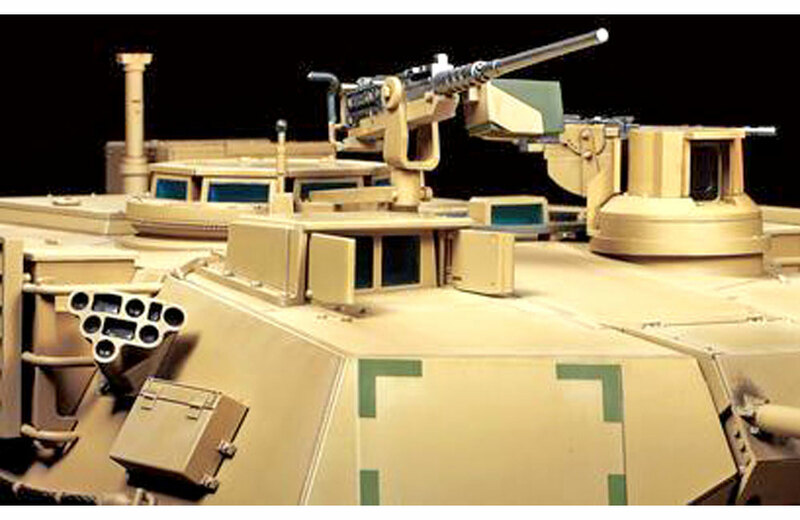 Its IVIS system allows advanced communication and information sharing between friendly vehicles. 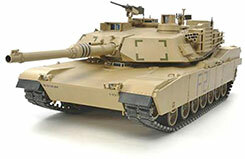 The M1A2 appeared in 1992 and in 2003 it saw its first action, in operations in Iraq. • This is a 1/16 scale R/C model assembly kit. 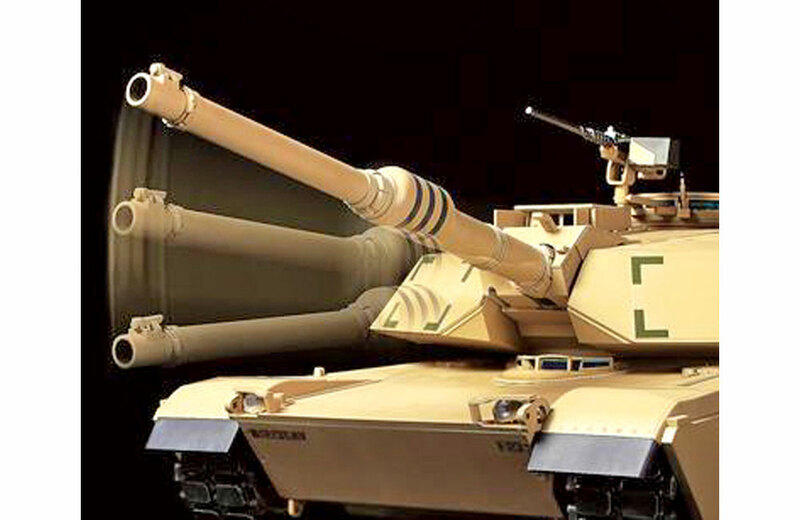 • The distinctive form of the M1A2 Abrams is captured with great accuracy. 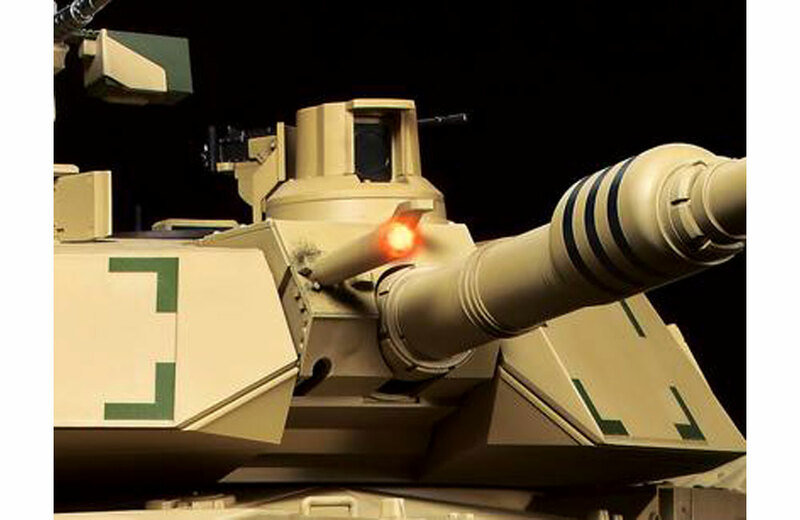 • Offers a full range of movement, from forward and reverse to a variety of turns, plus turret rotation and gun elevation. 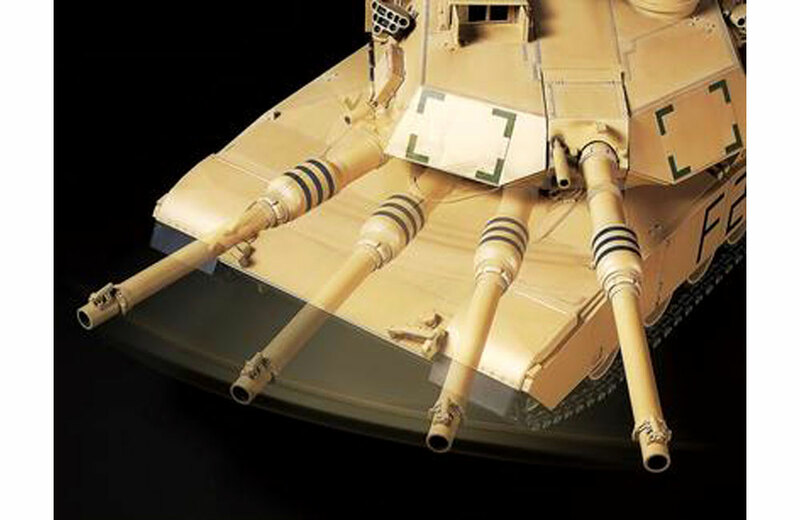 • Firing of the main gun is accompanied by realistic recoil and vehicle kickback. 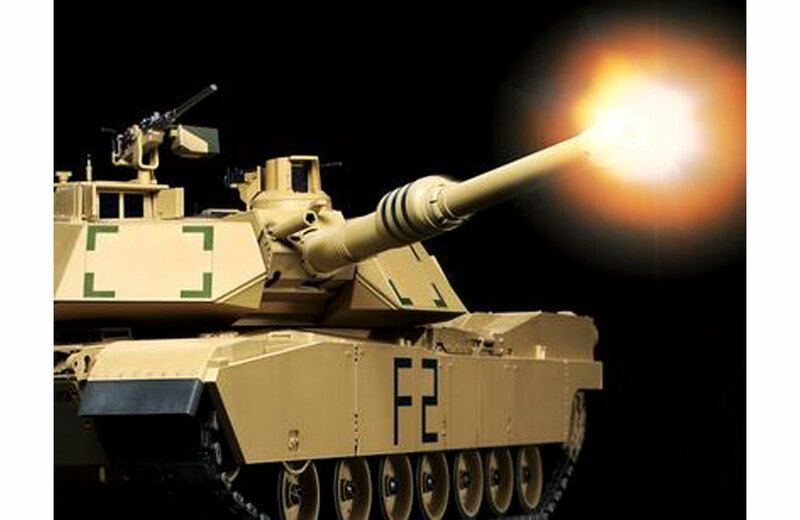 • Authentic gas turbine engine and firing sounds are coordinated with model actions. • A plethora of lights are recreated, and can be operated via transmitter. • Gun barrel control system can be used to keep main gun trained in a direction set via transmitter. • Compatible with separately sold Battle System.